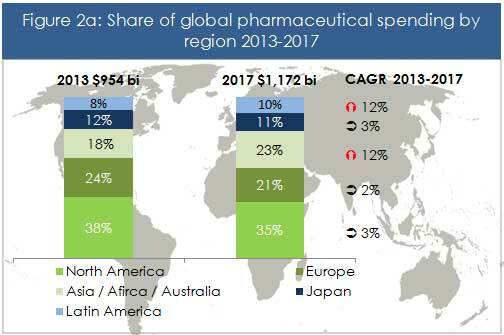 With pharmaceutical sales growing at 3% per year in mature markets such as North America, Europe and Japan, the successful drug manufacturers of tomorrow will continue to look to emerging markets to fuel their growth. Latin America and Asia stand out as the principal growth regions, each having expanded an average of 14% per year between 2008 and 2012 and expected to maintain an average pace of 12% per year through 2017 (see Figure 2a). 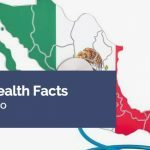 Urbanization, greater access to education and a larger proportion of women in the workforce are helping to bolster income levels throughout Latin America, thus driving the expansion of pharmaceutical sales as people begin to spend more on healthcare beyond basic necessities. Between 2002 and 2009, Latin America’s middle class grew by 60 million people (whereas in Asia, by comparison, the middle class grew by 49 million). 1. 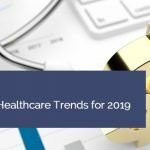 First, Consumption patterns will continue to lean towards an increased use of generics throughout the region, a trend driven by governments seeking to broaden healthcare access at reduced costs. Local producers of generic drugs are becoming the driving force of the pharmaceutical market, manufacturing branded products as well as private labels for pharmacy chains. Local producers are growing at a staggering 28% per year enabling generics to be sold in domestic markets 70% more economically than their patented counterparts. a. Consolidation will translate into a severe disruption of longstanding practices by established product manufacturers, who have made the most of the inefficiencies of a fragmented marketplace. More aggressive negotiations between retailers and their suppliers are expected to ensue, posing a potential risk to unsuspecting suppliers. b. The growth of pharmacy chains will also squeeze wholesale margins forcing this segment to reinvent itself. Thanks to their vast negotiation powers, large retailers may seek to bypass this segment altogether. 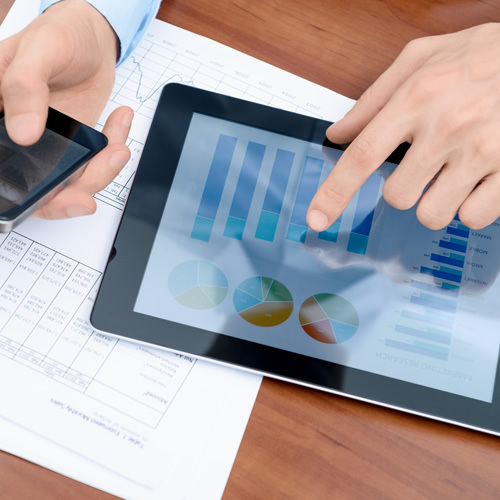 Source: Global Health Intelligence analysis based on information from IMS Healthequipment will continue to grow, presenting additional sales opportunities for manufacturers. 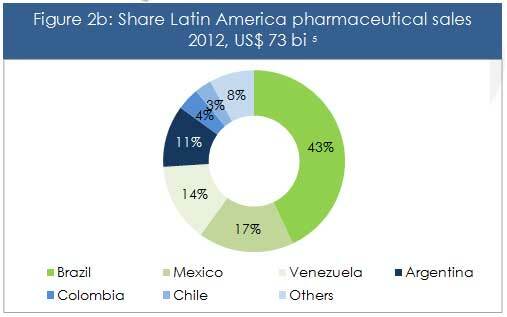 Ultimately for pharmaceutical companies, Latin America is a strong bet for future growth. 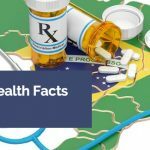 A few markets stand out within the region: Brazil will continue to be the primary driver of healthcare expenditure in the region, accounting for ~43% of the region’s pharmaceutical sales between 2013-2017, followed by Mexico as the region’s second largest market with ~17% of the region’s sales. Brazil is expected to become the world’s fifth largest pharmaceutical market by 2016. Colombia and Peru present strong growth prospects, albeit from a small base. 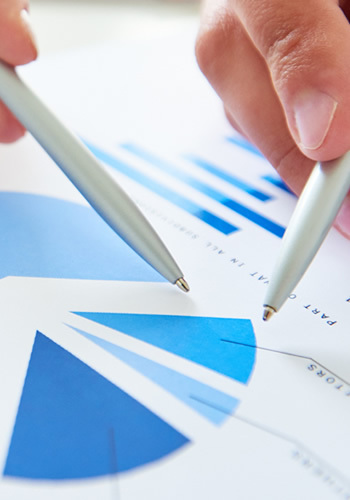 Chile maintains the characteristics of a more mature market, with consistent and stable growth. In contrast, the economic woes and inflationary pressures currently besetting countries such as Argentina and Venezuela are causing varying degrees of distortion to the market values, pricing and margins in these countries. As a result, it is difficult to predict how these markets will fare, though the picture looks grimmer than for their neighbors. Smart money will continue to look at Brazil and Mexico as the region’s pillars, seeking additional growth from rising markets such as Colombia and Peru.